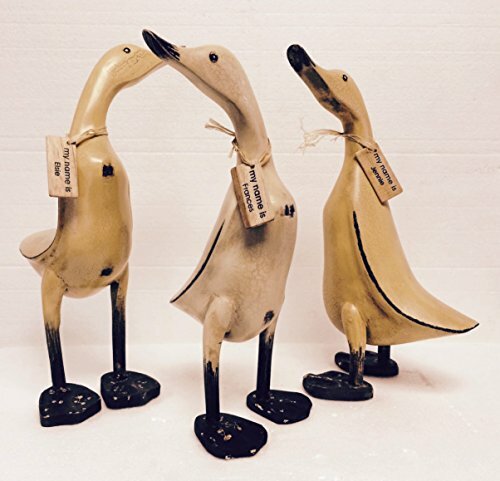 These vintage hand carved and painted wooden DUCKS come from bamboo roots in Indonesia created thru local village projects. This beautiful collection comes with a varied tint/ color selection and different head positions. Each duck has their own personality and name tag to match. A fun conversation pieces for every occasion or table. If you have any questions about this product by Homestyles, contact us by completing and submitting the form below. If you are looking for a specif part number, please include it with your message.